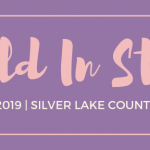 Join Habitat for Humanity of Summit County for a Girls Night Out! Build your 2019 style and help builds homes with Habitat. What: An after work, women focused event where you can shop new and gently used purses, clothing, and accessories. Includes a silent auction. Your ticket includes 2 drinks (beer/wine) and heavy hors d’oeuvres. Join Neighborhood Reborn IX! Volunteers and Habitat for Humanity staff will be making exterior home repairs in Akron’s Middlebury Neighborhood! If you would like to volunteer, please call Mary at 330-745-7734 or email at marys@hfhsummitcounty.org!